Attorney Snook’s primary focus of practice is Criminal Law and Personal Injury. Attorney Snook was born in Lewistown and graduated from the Lewistown campus of Penn Highlands High School in 1973. He graduated from IUP with a Degree in Political Science and a Minor in Criminology. He earned his Juris Doctorate from Duquesne School of Law in 1982 where he won US Law Week Award in 1982 as the highest grade point average in his senior year. He also won The Book Award, Remedies and Damages. 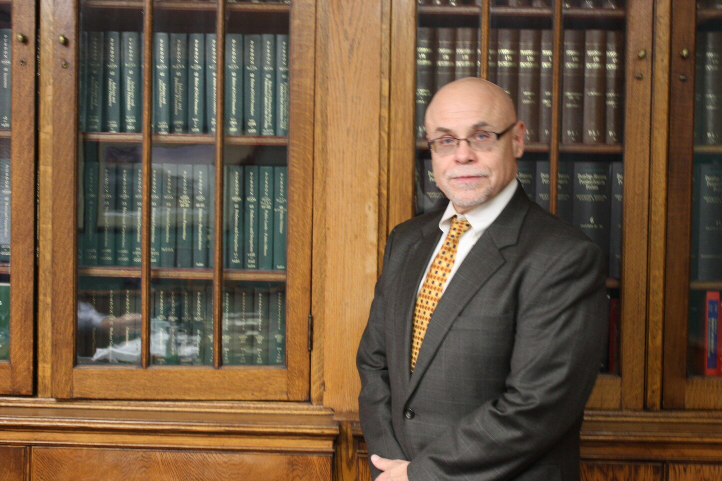 Attorney Snook was admitted to the Pennsylvania Bar in 1982 and had been in Private Practice since 1982 while also the Mifflin County Assistant District Attorney from 1992 to 1993. He was elected to the full time position of Mifflin County District Attorney in 1994 and held the position until 2012. Attorney Snook is a Nationally Certified Child Abuse Prosecutor, a member of Pennsylvania Attorney Medical Legal Advisory Board since 2001 and also a Special Assistant United States Attorney from 1996 to 2012. Attorney Snook has been the Chairman of the Mifflin County Criminal Justice Advisory Board from 2004 to 2012. He is also a Board Member of the Women’s Abuse Network from 2004 to 2010. He is a member of the Church Council of The Trinity United Church of Christ. Attorney Snook was the Solicitor of the Mifflin County Regional Police from 1999 to 2008.